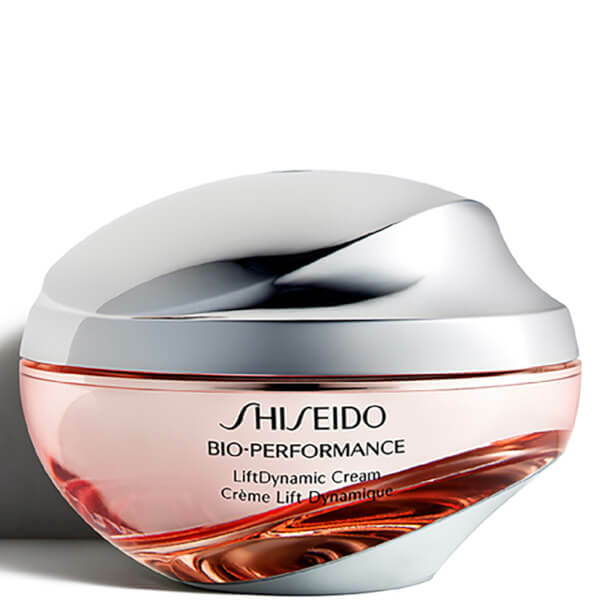 Reveal radiant, visibly firmer looking skin with the Shiseido Bio-Performance LiftDynamic Cream; a rich, anti-ageing moisturiser that combats signs of ageing to create a youthfully sculpted appearance that defies the laws of gravity. Harnessing the power of exclusive TruStructiv™ technology, the ultra-hydrating formula seeks to encourage skins natural restorative powers, while a RenoCycle System stimulates a smooth cell renewal process. Infused with Super Bio-Hyaluronic Acid, skin is deeply moisturised and left feeling more resilient and supple, with the appearance of fine lines, wrinkles and sagging dramatically reduced. Smooth evenly over the face each morning and evening after cleansing, softening, strengthening and correcting with Bio-Performance LiftDynamic Serum. Follow with Bio-Performance Lift Dynamic Eye Treatment.